I was recommended by my Homeopathic doctor who said he wouldn't go anywhere else and I agree 100%! Dr Marron in a word is Awesome! His staff is knowledgeable and friendly and with the additional help from their physical therapist Raj my back and shoulder is feeling better than it has in over over 20 years. I recommend them to everyone every chance I get. Even my 4 kids say that Dr Marron is the best! I can not say enough good things about Dr. Marron & his staff. He has resolved both neck & back issues for me for the past few years. I credit him for keeping me active in the sports I love most. Dr. Marron is most certainly a credit to his profession!!! 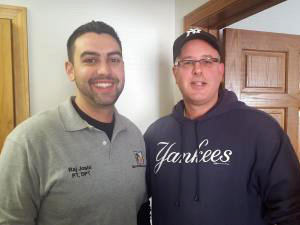 I have been to Chiropractors my entire life and when I moved to Middletown I tried a few different ones till I found Dr. Marron 16 years ago. The office staff is top notch, the equipment has changed over the years and Dr Marron always keeps up with the ever changing field of Chiropractic care. The wellness center is by far the best thing you could have ever done. The massages are like no other I have ever had. The acupuncturist is so calming you can literally fall asleep during treatment. Every treatment is tailored to your personal needs at the time and I always come out of there feeling so much better than when I walked in. Thank you Dr Marron for all that you do for your patients everyday you are truly a blessing. To Jenna, Jade, Kevin, Matt and the entire staff keep up the great work it is a joy to see your happy smiling faces. I love the friendly staff and Dr David. Awesome team. Best treatment ever,could not function without them! Everyone is great at Marron Wellness Center! Deciding to go here was the best thing I've ever done! Love, love Dr. Marron. He has been able to work on my neck and upper back when no other Chiropractor had succeeded. Scott Bendell the Acupuncturist has been instrumental in helping to manage my arthritis and fibromyalgia pain for several years and was instrumental in bringing me to Marron Wellness. The front and back staff along with Dr. Raj are all wonderful and go out of their way to help and support all patients! The center is very friendly and professional! They take excellent care of me and keep my back in fine alignment so I can participate in all sports! Very nice staff. Relaxed, happy atmosphere. I've been going to Scott for acupuncture, initially to treat allergies but it seems that it's all connected. I feel great and really appreciate the compassionate and friendly care at Marron. Great choice, clean, peaceful offices, and convenient location. Would highly recommend Dr Marron, I have been seeing him for 28 years! Always leave there feeling better then I did. I am a firm believer in chiropractic care , helps everything from colds to injuries . You definitely won't be sorry you went . Staff is great too ! Dr. Marron and Dr. Raj are awesome!. 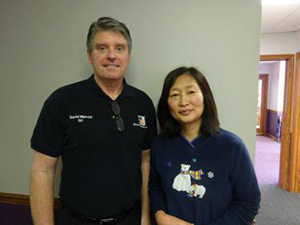 I first saw Dr. Marron regarding my shoulder and back pain. Shortly after that first consultation I broke my wrist and had surgery. Dr. Raj has been in charge of the physical therapy to return the mobility and strength to my wrist and shoulder. Both are professional and attentive to my overall improvement and demonstrate a high level of expertise. Thank you to all the staff at Marron Wellness! Dr. Marron and the entire team at Marron Wellness Center have been an amazing influence on my strength, flexibility, and overall well-being. I have seen Dr. Marron to treat my back pain, and he has done so with expertise. Dr. Raj Joshi has helped me to build and tone muscle and flexibility through physical therapy following surgery. The staff is always welcoming, and the office is always relaxing and a positive place to be. I've recommended Marron Wellness to several friends and family members, all of whom have had great results as well. Thanks, Marron Wellness Center!! I was struggling with knee pain and reduced mobility. I am progressing rapidly in the right direction. Everyone is very professional and friendly. A family atmosphere. I've finally found relief! I love Marron Wellness Center! The entire staff is amazing! Dr. Marron and his staff are wonderful!! I have been a patient for about a year and I feel wonderful!! This summer I had an issue with my arm and Dr. Raj was able to get my arm back in shape. I look forward to my visits because everyone is so friendly and helpful!! Thank you!! Came to Marron for Back problems. Had PT with Dr. Raj and earned a lot about caring for myself. Dr. Raj explains things and is very thorough. I do chiropractic visits with Dr. Marron. Much improved! The whole staff is pleasant, welcoming, and the wellness experience at Marron Wellness is great. Thanks! I think what I love most is the assurance of feeling better after my visit, I enjoy the friendly greetings from the staff and the relaxed atmosphere there, after working all day and a long drive to get there it is so rewarding to relax in a beautiful environment and relish knowing I will soon feel better. Great staff, excellent Dr and love the music. I have been seeing Dr. Marron since December 2000. At that time I had suffered a severe back injury. He has always provided the best service of any chiropractic I have visited. My wife Autumn and I will will go to no other doctor. We have seen his business grow from a one or two person office to the full staff he has now. We couldn't be happier. I have been seeing Dr. Marron for 25 years. After treating my back injury. He has kept me aligned and feeling good. His staff and new wellness center are a plus. The Chiropractic experience with Dr. Marron is head and shoulders (plus neck and back) above any other I've experienced. All I can say is that he's my chiropractor from this point- there's no reason to try any other. Also, I have occasional BPV and he is very good with the Eppley maneuver and other treatments to relieve it. I had various health problems. Dizziness and mild-to-severe headaches that was detrimental to my quality of life. Now as long as I come for adjustments regularly, I don't suffer with dizziness and headaches. I also fell on the ice last winter and in constant back pain- & at its worst I couldn't even walk. That is also completely under control. Thank you, Dr. Marron and staff. I've always used chiropractic therapy as a form of keeping my body healthy. Especially after a motor vehicle accident left me paralyzed from the waist down. But when I started combining acupuncture with Scott Bendell weekly with my chiropractic visits the health of my body and mind recovered much faster. I have much less muscle, back, and neck pain since seeing Dr. Marron and Scott on a regular basis. Walking into Dr. Dave's office is a very comfortable experience, no worries, no stress, and the comedy is awesome. Not being able to bend and turn to do mild tasks is the reason for visits. With Dr. Dave's maintenance plan the stretching and adjustments make life so much better and pain free.Thanks Dr. Dave. Marron is a great facility! I had Dr. Raj for physical therapy...he is the BEST! He is now giving physical therapy to my husband who had major surgery. We are seniors, 71 and 72 years young. Dr. Raj has a wonderful way of explaining what needs to be done and why. The staff at Marron Wellness Center are always kind, caring, and smiling :) ...Thank you Marron Wellness! I have been going to Marron Wellness on and off for over 3 years. The Physical Therapist, Raj, is amazing! Dr. Marron is my chiropractor and has helped me with my neck problems. The staff is friendly, caring, and will go out of their way to help. When I go to the office it is like visiting with family and friends. I came to Raj for physical therapy about a year ago when the pain in my shoulder was not going away. I had been to physical therapy before for the same issue, but the pain came back once the sessions ended, and I was right back where I started. I was apprehensive at first about going back to physical therapy, since it seemed like just a waste of time and money. I decided that Marron Wellness center would be a good place to try, since I was already there for Chiropractic. From the first visit I could tell that this was going to be a different experience. The last place I only saw the actual therapist twice, on my first and last day. The rest of the time it was just some high school kid telling me what exercises to do. With Raj he was working with me the whole time. He was completely hands on, making sure I was doing every exercise correctly. I never felt like I was wasting my time, and best of all, I actually saw and felt improvements. I am so happy to say that I am pain free, and I am so grateful to have Raj, and Mike. They made those days I didn’t feel like doing anything bearable to get through! Marron Wellness has the most friendly and knowledgeable people. Dr. Marron, Scott, Veronica, and Raj are the best! I came to Marron Wellnes when I was pregnant with my first daughter. She was pressing on my spine and I was so uncomfortable. Also, my hips were shifting...so I was a mess. My OBGYN recommended me to Dr. Marron and he was a life saver. His team is amazing, one of the nicest group of people I have ever met. I have used Dr. Marron through my entire second pregnancy and in between. I've never stopped and do not plan to. Marron Wellness has a warm and friendly atmosphere. They have been integral to my path towards better health! You are miracle workers- now I can turn my head when backing out of my drveway!. Everyone at Marron is caring, concerned, and polite. Kudos to you all! What a wonderful, warm, caring place Marron Wellness Center is. It all starts with the man who started it all, Dr. Marron. I have been his patient for the past several years. He is an excellent chiropractor. Aside from that his bedside manner is warm, witty, caring, and consistent. I believe that trickles down to the rest of the staff whom are pleasant caring people. It starts with Jenna with her beautiful warm welcoming smile when you enter the office. I have been treated by Dr. Marron and Dr. Raj Joshi (Physical Therapist) for back issues and pre and post surgical treatment of total knee replacement. I've been a patient of Dr. Marron since 6/22/2007. 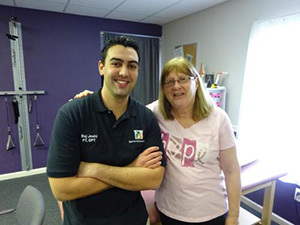 He has treated me for anything from maintenance, to spasms, to TMJ discomfort, Marron Wellness has always provided a welcoming, friendly, and professional environment. The staff is fantastic. I have seen this practice grow over the years, and it only gets better. They truly care about their patients and go above and beyond to make us feel good! I was referred to Marron Wellness by a long-time client for help with severe neck and shoulder pain, as well as relaxation and anxiety issues, including nightmares. The care and treatment I have received here is second to none! As a very active person and avid runner, I was experiencing pain and discomfort almost daily, which was impacting me physically and mentally. The PT, chiropractic, and acupuncture services I have received (and continue to receive) have put me at 0% disability and pain, as well as nightmare-free for months. I cannot be more grateful to Marron Wellness for all they have done! I have had chronic neck pain for quite some time along with pain in my right shoulder. However, since becoming a patient here at Marron Wellness Center I've noticed a big improvement in my health. I highly recommend the acupuncture and physical therapy, along with weekly adjustments. Also, the whole staff here are extremely accommodating and friendly so its never been an issue getting appointments that meet my needs. Thank you Marron Wellness. I have been coming here since July 2015. I have had both Chiropractic care and Physical Therapy. I can't say enough about the quality of the treatment that I have been getting. Everything has been very helpful! Also, everyone here is not only nice but good at making this process more pleasurable. I have been coming 2 to 3 times per week. I am not sure how much longer I will be getting treatment, but when it's over I will miss them! I have arthritis and muscle tension with chronic pain. The team here has kept me in good shape. 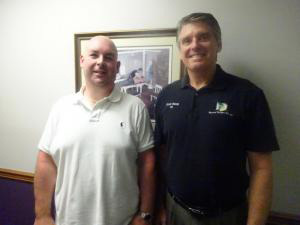 I originally came here to follow Scott and continue to get relief from him but started chiropractic with Dr. Marron. He is the best chiropractor that I have experienced. The staff is warm and welcoming. It is a pleasure to be here and be treated like a friend, one who cares and heals Thank you all! When I got into real trouble with my back and could barely move, Marron Wellness Center worked on me until I was close to normal again -- but that was expected. What I really appreciate is the way they continue to monitor me and catch those little flare-ups before they become debilitating like the first episode. I NEVER Want to go back to that state again! Marron Wellness Center's staff is always helpful and very accommodating to any scheduling needs, changes, etc. It's like calling a friend!" Marron Wellness Center was certainly the right choice for me. The staff is first rate, easily helping organize appointments to match my busy schedule. Dr. Marron's expertise, personality, and honesty all combined to make my experience with him a total success! I have recommended them highly to both family and friends. The office staff is kind and friendly. The doctors are very skilled and make you feel at ease. I leave feeling relieved and understood. The staff at Marron Wellness Center is always professional and very knowledgeable. I always look forward to my visits, simply because I feel better when I'm done. 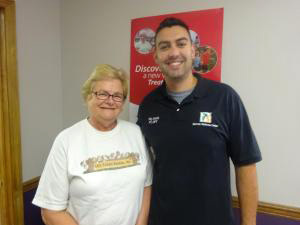 Marron Wellness Center has an extremely friendly and welcoming staff. They always accommodate last minute changes in my appointment. I have received the best care from this facility. The entire staff is nothing but the best. You receive a warm welcome from the moment you walk in the door right up until your departure. I would not be treated anywhere else. I have been suffering severe pain from a car accident I was involved with in June 2014. I was familiar with Marron Wellness Center through our various local networking efforts. When my pain management doctor recommended I work with a Physical Therapist recently, I was eager to try out the team at Marron. They have exceeded my expectations! After a thorough evaluation they recommended procedures that they got approved by the insurance company and have been working with me the past month now. I would highly recommend them to anyone suffering with pain, as they are creative in their approach and are just lovely people to deal with! They saved my life!!! Truly, a month ago I couldn’t walk because of a sciatic problem – they’re a team that really, really cares. Dr. Hopkins examined me and told me the plan of action, can’t say that I always stuck to it. They’ve been patient and kind and will give you a good swift kick if needed (it was needed). Acupuncture with Scott, along with the chiropractic adjustments, is fabulous!! Now on to Physical Therapy with Dr. Raj! Looking forward to a great golf season! When you are out of sorts, who are you going to call? Marron’s Pain Busters! 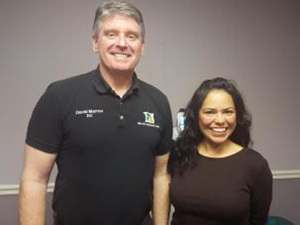 Not only does Dr. Marron do wonders on locating and relieving all of those pain spots whenever you need it, but his staff is top notch. Recently I had to change my appointment time on a weekend that would affect my appointment day/time on a Monday, and sent them an email to make them aware of it. Within a couple of hours (on a Sunday night) I got a reply from Alexis, who acknowledged my request and then called me the next morning when she got in to adjust my timing of my appointment for that day. Seems like a small thing, but HUGE CUSTOMER SERVICE! Thanks again for all of your help and for a great devoted staff. Marron Wellness Center provides excellent specific treatment plans combined with an all-encompassing caring professional staff. As I have multiple medical issues, Marron Wellness tips the scales of compassion. Don’t get me wrong, the staff is highly qualified and understanding, and I leave my PT sessions feeling the efforts of our work together – I dub this ‘happy hurt’. They never push me and they never pacify me. Having ventured on many personal PT roads, I can attest from experience; Marron Wellness Center embraces the highest standard of PT highways. The Marron Wellness center is an amazing place to help you improve your wellness. I started receiving care at Marron Wellness Center in August 2014 with Physical Therapy, Acupuncture, and K-Laser Therapy. The multiple therapy service greatly improved my quality of life. The physical therapists, Dr. Kristi and Dr. Raj, are very knowledgeable, encouraging, and caring. They are the most qualified I have ever met! I’ve previously gone for therapy at a larger facility and it did not compare to the therapy at Marron Wellness Center. I was in pain all day from a rotator cuff and bicep injury – today I have no pain and my level of mobility has increased greatly. I would highly recommend the Marron Wellness Center as it is a warm and inviting place and the staff is very knowledgeable, caring, and patient! My care at Marron Wellness Center started in May of 2014. Dr. Marron and Ashley Jouaneau came to Monmouth Regional High School for teacher appreciation week. I had been under Chiropractic care elsewhere and felt I was not seeing results, so I saw this as an opportunity for the change I was looking for. From the moment I walked into the office on May 19, 2014 I felt welcomed and in good hands. The entire staff is friendly and accomodating, whether it's scheduling, setting me up for various treatments, or just conversation. Due to my active lifestyle and involvement in sports I place a great amount of stress on my body therefore, I have tension in my upper back/neck as well as sensitivity in my lower back. Under the care of the doctors at Marron Wellness Center they treat me with a variety of therapies based on my needs. The doctors spend the time on their individual patients to ensure results and progress. With the treatments I receive at Marron Wellness Center I have greater mobility and range of motion in my neck, decreased pain and pressure/tension in my upper back and I can now tolerate manipulation of my lower back. Most importantly, Marron Wellness Center allows me to lead my active lifestyle and enable me to keep running marathons. Marron Wellness Center is an outstanding place to improve your health and wellness. I have disc injuries in my neck and back. 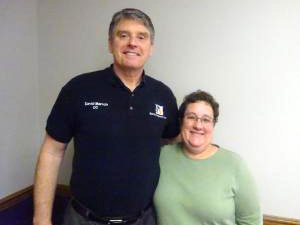 Dr. Marron has helped me in improving my mobility as well as decreasing my pain level. They have everything you need in a wellness center; Chiropractic care, Physical Therapy, Acupuncture treatments, and Massage Therapy. The staff is caring, patient, warm and personable. They are all well informed and always concerned about your needs. If you are looking for an experienced and caring Wellness Center, then Marron Wellness Center should be your choice. I highly recommend Marron Wellness Center to anyone who wants to improve their health and wellness. Due to an injury to my knee, I was fortunate to be referred to Marron Wellness Center. My experience with the entire staff has been wonderful. I have received excellent care and consideration. I never have to wait to be seen and greeted with friendly enthusiasm. My therapy team, Dr. Kristi Heinzinger and Kevin, are amazing. I felt complete confidence in my treatment and made continual improvement every week. They are both very professional, yet made me feel as if I was a friend. Dr. Kristi is amazing and she knows how to keep you motivated and gives you encouragement. Now that my therapy is coming to an end I know that I have the tools to keep my knee condition on a forward path. Thank you all for the good care at Marron Wellness Center. You're the best! Great office -- provide state of the art Chiropractic, Physical Therapy, Acupuncture, and Massage in a very pleasant atmosphere with a friendly office staff! I'm a little late in writing this, but this was due for a long time. I would like to thank from the bottom of my heart for the Acupuncture treatment that I received at Marron Wellness Center a couple of months back. I was suffering from Post-Partum Urinary Retention issue since December 2013. I got to know about Marron Wellness Center after a long research on the internet about this issue. When I met the Acupuncturist at the facility, Scott Bendell, he had not really heard about this issue being treated by Acupuncture in the past but he had faith that he could treat me. I would like to thank him -- he is god sent. I got amazing results right after my first visit. I just had to do two sitting and I am back to my normal self now. I was strictly following the relaxation and meditation suggestion he gave me every day. It was difficult for me because I was also suffering from a severe depression due to the loss of my baby during that time and he helped me heal from the trauma. Something with the Acupuncture treatment invoked those deepest feelings of loss that I could never express and cried out loud -- first time since the loss. I am not sure if I will ever heal emotionally from this, but he told my husband to let me express my emotions. Believe me it is helping. Now I express my emotions and feeling, embrace my baby's decision to be in a different world and love her from here. I can not thank Scott enough. I would totally recommend anyone suffering from this issue, especially the mothers who are suffering from this condition and have to take care of their newborns as well. Once I get totally fit physically, I would love to come and thank him in person. Until then I pass on my best wishes and deepest gratitude for the treatment. My teenage son received physical therapy from Dr. Heinzinger after his surgery and I was really happy with his recovery & her caring treatment. I have had lower back treatments for over 10 years now and have been to four different Monmouth County chiropractors. By far, Dr. Marron has been the most thorough and efficient. I find the staff thoughtful and pleasant, especially when I forget an appointment or cancel! I am doing Acupuncture for the first time with Scott and am finding it so relaxing and peaceful. Also it is helping my back pain and energy level improve. In November I was raking leaves in our back yard and suddenly I felt a pop in my lower back the pain was awful. I threw down the cake and crawled in the house. I ran a hot bath and soaked for 20 minutes and I iced my back and right leg. That night I took two Alieve and tried to sleep. The next day I tried my Chiropractor three days -- NOTHING helped! I went to the emergency room, they took X-rays and gave me a shot to relieve the pain. That lasted 5 hours. I finally went to see a doctor who had helped me before, my pain management and spine specialist. After three and half weeks of horrible pain, no sleep, MRI, and Doppler on my legs he gave me a steriodal epidural and suggested going to Marron Wellness Center. I started December 31st and at this time I am still going for Physical Therapy. They have been truly remarkable each week. Dr. Kristi Heinzinger makes sure you are up to doing your exercises and if not she takes care of that part of you that is giving you issues at that time. I could hardly walk in that I went in the first time with a walker, then 2 weeks later a cane, now I don't have anything. My back feels great, I feel so good, I have my life back now! I know without this facility I woul have stayed in the depressed state I was in. They also have wonderful massages, a great way to treat yourself after therapy. My MRI showed 2 herniated discs, stenosis and a lot of degeneration, along with the fact that I have Rheumatoid Arthritis. I say give them a chance -- what have you got to lose! Thanks a million Dr. Kristi & Kevin! Although I had been a routine Acupuncture patient of Scott's for more than a year and a half, I had never been a patient of Dr. Marron's. Last month I awoke with an acute episode of sciatic pain very early on a Monday morning. I called the office as soon as they opened and got an appointment to see Dr. Marron that same day. He immediately began an aggressive treatment plan to get me through the acute episode. The staff is always attentive to my scheduling restrictions due to my job responsibilities and always manages to fit me in at a convenient time. Dr. Marron knows just the right mix of professional treatment modalities and a little bit of humor, and believe me, sometimes you have to laugh through the pain. I am feeling much better, although I still have a ways to go, but I know that Marron Wellness Center will get me through it, and I will continue whatever maintenance is recommended! I first found Marron Wellness Center in my search for relief from shoulder pain, for which I was seeking Acupuncture. Not only reasonably priced, I was thoroughly impressed by Scott's knowledge, skill, and expertise. 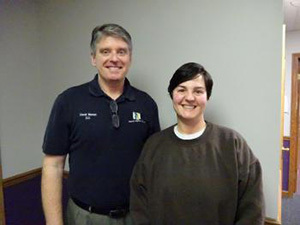 I then became aware of the physical therapy option, which was recommended to me by Scott, and began to work with Dr. Kristi Heinzinger, who is also skilled and so wonderful to work with. After a few weeks, Dr. Kristi made the assessment that I might need to see my orthopedist for possible surgery. My orthopedist agreed and on January 31, 2014 I had orthoscopic surgery to remove serious bone spurs and "clean out debris". OF COURSE I cam back to Marron Wellness Center and with Dr. Kristi's guidance and expertise making great progress! (In recovering use of my shoulder function) I am also grateful that she urged me to consider surgery. She is truly insightful and knowledgeable! I have been going to Marron Wellness Center for the past two years. 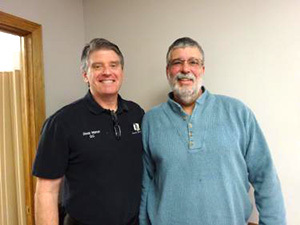 Dr. Marron is the first chiropractor to successfully manipulate my neck, and I have been to several chiropractors. 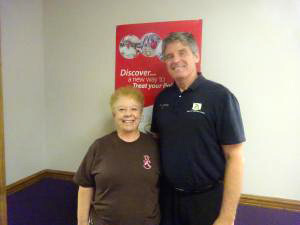 The physical therapist, Dr. Heinzinger, is wonderful and has helped me through several injuries. Jayde, one of the massage therapists, has fingers of gold. In addition to their professional expertise, the office atmosphere is very friendly and warm. Everyone goes out of their way to make you feel comfortable. Still love it – it is an ongoing relationship. I would not dream of going anywhere else. The facility has everything you could possibly want or need. The personnel could not be more professional or friendly – and by the way they make it a fun place to visit. This helps ease the pain in a big way! My wife and I have been patients for years. Dr. Marron is the best! A wonderful place for healing. I have been a patient at Marron Wellness Center for nearly 2 years. I was experiencing back and neck pains, headaches and numbness in the limbs. With Chiro, Acupuncture, and a few months later Physical Therapy, my condition has improved drastically. The pains and numbness have decreased so much that I’m finally able to function. Thank you to everyone at Marron Wellness Center for your care, professionalism, knowledge, and kindness. I have been going to Dr. Marron for easily over 10 years for relief from back pain and headaches and he has never failed me once. He and his team have consistently show great concern and truly listen to what your current ailments are and then react appropriately to correct and relieve that pain. There have been several moments in my visits to him where I was incapable of standing, sitting or lying down without severe pain. Dr. Marron and his team worked diligently on those problems and after a few visits got me back to full function once again. He has “saved” me from a long term of pill taking and sleepless nights due to the pain I was experiencing at that time. I have had several chiropractors in my lifetime, but he has been the best. It is just one of the reasons I have followed his location movements from town to town in the Monmouth County area, so I can get him to bring me back to normalcy. I fully recommend and endorse Dr. Marron and his Wellness team to anyone who is seeking pain relief. I will always be thankful for everyone at Marron Wellness Center. 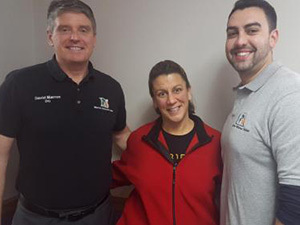 Dr. Marron and his team were wonderful, especially Dr. Kristi Heinzinger who was the “ONLY” Physical Therapist who was able to find all the pressure points to hit – so I was able to have almost immediate relief from incredible pain in my neck, shoulder, and back. They developed, along with me, a treatment plan that worked into my schedule and never made me feel any worse than I did if I needed to cancel or change appointment days or times due to my work schedule. I hope I can continue to stay well with my exercises, but if things start to falter – I will be right back at Marron Wellness Center! And I highly recommend them as true professionals and great healers! Thank You All!! P.S. I miss you all – but I’m doing good! I came to Marron Wellness Center on the suggestion of my primary care doctor because of headaches most days of the week. I met with Dr. Marron and immediately felt safe with him. He recommended chiropractic and physical therapy. After a few months, I was great! No headaches!!!! And I especially love the staff. Friendly. Compassionate. Helpful. Love you all!!!! I love visiting Marron Wellness Center. Everyone is so genuinely kind, concerned, and professional. Jayde has the best hands for a massage and Scott’s intuitive sense and keen skills have maximized the healing of my shoulder. Thank you! I found Dr. Marron years ago, accidentally. Best mistake of my life! I have lower back stiffness and he adjusts it with gently manipulation. Along with the back of neck, which can be a pain at times. I am old and in most cases do well. Still able to shovel snow! THANK YOU DR. MARRON! I love Marron Wellness Center. After I recently got married and relocated here, I did not have a wellness center to go to. Through karma, I found Marron Wellness Center. They attend to my aches and pains and comfort and well being. I enjoy the wonderful employees there and hope you will give them a try for your own health. I received chiropractic treatment from Dr. Marron beginning late in the month of September 2013. Over the next 3 ½ months Dr. Marron was able to reduce the sciatic pain in my back by at least 75%; this was a great improvement in my mobility as well as the reduction in pain. It is also good to know that I can return to Dr. Marron should I have a flare-up again. Thank you also for the pleasant help and assistance from Jenna and Michael. I would like to take this time to say how satisfied I was with your group. They have been honestly interested in my condition getting better. They are very capable in their job. I was impressed by their ability and their interest, especially Dr. Kristi Heinzinger. She was sweet and knowledgeable. During my time at your facility I seem to have improved from a pain level of around 8-9 to probably 3-4. Maybe even better! I won’t hesitate to tell anyone of your treatment center. I remain a satisfied client. I have been remiss for not writing this sooner. I cannot say enough great things about the staff at Marron Wellness Center. I receive excellent service and care from everyone there. I was suffering severe back pain when I started my physical therapy. With Dr. Heinzinger’s professional, gentle, and compassionate care along with the help of Mike and the other P.T. staff I as soon on my way to almost complete pain relief. I was taught exercises to do at home to continue with my recovery. I can’t thank them enough and would recommend highly. I purchased a Groupon and had three great massage sessions with Jayde. She is professional and highly skilled. I found the entire staff to be nice and would not hesitate to use any of their services. I’ve been working with Marron Wellness Center for over three months now, and am MOST impressed by their professionalism, kind and attentive staff, and strong dedication to my recovery! I worked with almost every professional they have to offer – Dr. Kristi is one of the best physical therapists I’ve ever known. She pushed me very hard to regain mobility and strength, and through tears and smiles – she succeeded in helping me to accomplish my goals! I can’t speak highly enough about her. Dr. Marron is a chiropractor who truly cares about his patients. I have also worked with Scott, a highly tained acupuncturist who has helped reduce my pain levels drastically. The support staff couldn’t have been more helpful in getting me appointments around my crazy schedule, and had tremendous patience in helping me get all the therapies I needed! Thanks to them, I likely won’t be there as much in the future (which is the best news possible considering that I am almost completely healed from a badly dislocated elbow sports injury)! I will however continue to recommend them to all my friends and family. I encourage anyone considering physical therapy, massage, acupuncture, or traditional chiropractic care to check out this office. You will not be disappointed! I have been receiving the very best of care at Marron Wellness Center for about 2 months. My personal and effective care included Dr. Marron for chiropractic, Dr. Kristi Heinzinger for physical therapy, an Scott for acupuncture. All of my care was coordinated. Bursitis, spinal stenosis, herniated & degenerated discs in my back and neck, as well as arthritis have been treated with much diligence and care! My shoulder, upper & lower back, and right leg shin area were all trouble spots. The shoulder pain was shooting and sporadic, the back pain was fairly regular, and the leg would numb along with my toes. Something was always bothering me. I had gone to several chiropractors with mixed results. None had been able to give me the relief I deserved. A friend referred me to Dr. Marron and as soon as I made that first phone call, I knew that Marron Wellness Center was different. Every time I’d call I was able to get a convenient appointment from a warm, friendly, and professional team member. Dr. Marron assessed by issues, addressed and began a regimen that eliminated or majorly reduced my pain. 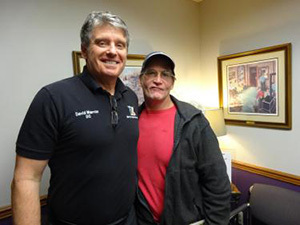 He uses the latest techniques, Spinal Decompression and K-Laser, along with the tried and true methods that have helped over time, that I have NO hesitation referring anyone. Dr. Marron sets the positive tone in his office. His quarter century of experience, openness to new technology, warm and friendly personality combined with a first rate staff and comfortable facility makes for a pleasant atmosphere. The Marron Wellness Center is simply the best! Since I have gone to Marron Wellness Center, my shoulder is a lot better! I never thought that at 85 years old you could “put me back together”. It’s a nice change of pace after feeling awry for almost 30 years! I have been receiving the very best of care at Marron Wellness Center for about 2 months. My personal and effective care required Dr. Marron for Chiropractic, Dr. Kristi Heinzinger the Physical Therapist and Scott, the Acupuncturist. All of the care is coordinated. Bursitis, spinal stenosis, herniated and degenerated discs in my back and neck, as well as arthritis have been treated with much diligence and care. I started my treatment at Marron Wellness Center three weeks ago, due to severe pain in my left arm, neck, and left shoulder blade area. Dr. Marron did a complete and thorough examination along with x-rays to ascertain the areas that were causing me severe pain. He thoroughly reviewed all the medical information as to my condition. We worked as a team and set up a plan of healing for me. It is a positive experience for me each time I enter into the Marron Wellness Center. I look forward to the cheerfulness of his staff and the assistance and understanding that they display. My chiropractic care has greatly improved the severe pain that I was in. I listened completely to what was advised for me to do and have not deviated from the plan of action. My left arm, neck, and shoulder blade area are slowly healing and I have been sleeping 7-8 hours a night rather than waking up every 1-1 ½ hours with restless sleep. I have taken my treatment a step further and had my first massage, and I am so looking forward to my next one! Thank you each and every one of you at Marron Wellness Center for helping my pain. My experience at Marron Wellness Center was excellent. The entire staff was friendly and welcoming during my time there. I looked forward to going in each week. Dr. Marron and Dr. Heinzinger did an amazing job, while treating me and getting me back to where I needed to be, with my injury. Thanks so much guys! I’m a former massage therapist. I never enjoyed a massage the way I did this one, trying to be so in tune with what the therapist is not doing, but Kelly did everything right! She’s very, very thorough and you can tell she really loves the craft, not just the service fee. She actually completely relaxed me. I must commend her schooling because she is phenomenal. Thank you Kelly for finding massage therapy. You really put many others to shame. I’d recommend Bodybliss Massage at Marron Wellness Center to any male or female. It is worth the distance! If you’re in training or pain – go experience one of the best! I am presently receiving Chiropractic and Physical Therapy care. I am very comfortable with the entire staff and I am getting excellent results. I know healing does not occur with just a few visits I am however confident that I will continue to get better and I have confidence with Dr. Marron and his entire staff and I am getting excellent results. I know healing does not occur with just a few visits. I am however confident that I will continue to get better and I have confidence with Dr. Marron and his entire staff. Thank you all for your help, caring, and excellent attitude. Chiropractic and Acupuncture immediately impacted my well-being by helping me manage pain and gain mobility. I will definitely visit Marron Wellness Center in the event that I need their professional services again. When I need a physical adjustment to my body, I first call Dr. Dave for his care. I know I am always in good hands. He always makes me feel better because he finds the source of my pain and treats it. It always works. I have relied on Dr. Marron since I arrived here in 2005. There have been numerous times that Dr. Marron has come to my “rescue.” Recently I was experiencing severe, throbbing waves of pain in my left jaw. I went to my dentist and then my general practitioner to seek resolution. All made various suggestions as to what it may be, but offered little resolution beyond medications or cold and hot compresses to the area. After 2 weeks of constant pain, little sleep, and an inability to even think straight, I went to Dr. Marron. After 20 minutes, I felt 100% better. The pain went to a dull ache and after a few more visits it was gone! I was finally able to function normally again! Dr. Marron did it again! I moved to NJ eight and half years ago and was referred to Dr. Marron. I would recommend Dr. Marron to anyone in the area. I always left the office feeling better! The wellness’ staff was outstanding. The reception staff made patients feel comfortable and at ease. Dr. Marron is a very down to earth and non-posturing doctor, which I find very refreshing. I asked many questions and he seemed to get right to the problem. He was gentle where needed and more aggressive where needed. Physical Therapy was also very thorough. Unfortunately, I may need surgery for my problem, but this place is a breath of fresh air. I would highly recommend Marron Wellness Center. I arrived as a new patient to Marron Wellness Center as a referral from the pain management specialist that I was seeing for severe back pain. I had spinal surgery over 20 years ago and was again experiencing unrelentless back pain that was greatly limiting my ability to carry on with daily activities. I had just completed my third epidural nerve block injection, which again proved ineffective at improving the pain I was experiencing, when I was referred to Marron Wellness Center for evaluation and treatment. I found Dr. Marron to be both very knowledgeable and approachable. I was very apprehensive about sharing the details of my current situation as I had been experiencing and ignoring symptoms for several years before the sudden onset of acute symptoms I was now experiencing. I was reluctant to tell anyone how much pain I was truly in or how limited I had become physically. Dr. Marron was both kind and professional. He took the time to thoroughly explain the office’s coordinated therapy approach in resolving a patient’s pain. The customized Chiropractic/Acupuncture/Physical Therapy treatment plan developed for me was creative, consistently adjusted in accordance with the symptoms I was experiencing, and ultimately proved very effective. Dr. Milhan was both the acupuncturist and physical therapist I saw while receiving treatment at Marron Wellness Center. I found her to be kind, patient, and again very knowledgeable in her field of expertise. Dr. Milhan developed an initial physical therapy plan for me based upon my acute symptoms that were both realistic and effective. During the course of my therapy, the plan was constantly adjusted to maximize the benefit. Dr. Milhan also provided activities that I could continue with at home to hasten my recovery time. Since leaving her care, I continue with many of the stretching exercises she introduced, now as a preventative measure, rather than in a response to pain. The office staff at Marron Wellness is simple the best. Alexis, Ashley, and Libby are always friendly and accommodating. They have handled everything from scheduling my appointments to complicated insurance issues with ease. It is always a pleasure to walk into this office. I am now a “graduate” of Marron Wellness Center and I do not experience any of the back or leg pain symptoms that I arrived there with. I am back t enjoying my hectic life, pain free, and trying to keep up with my teenagers. I credit my transition from self-proclaimed “worst patient of the week” to pain free graduate to the expert care I received during my treatment at Marron Wellness Center. I would definitely recommend this facility and the staff associated with it to anyone looking to resolve their pain issues. Marron Wellness Center is not like other therapy places. You are treated as an individual. Every person that deals with you cares that you are getting better; it’s like getting treated at your home! I wish I came here sooner. My two sons and two daughter in-laws have been and still are treated at Marron Wellness Center. They had told me to come and from experience, they will do the best they can to treat you. I have been a patient for over 10 years. Whenever I arrive at this office you don’t feel like you are a doctor’s office. Everyone there is very nice and listens to your needs. I would recommend anyone to use this facility. Orthopedics vs. Chiro Care: I went to the orthopedist for a pinched nerve in my neck. The treatment they recommended for my neck was to have a needle guided into my neck. Not only was it one needle, but possibly three! This was not the solution for me. I chose to visit the Chiropractor for another opinion. The staff was so wonderful. They recommended that I see the doctors there three times a week for chiropractic adjustments as well as acupuncture. Chiropractic care was such a great choice. I can’t express enough how much you’ve helped me in healing my pinched nerve. Thank you Marron Wellness Center! I have suffered with migraines most of my life. Ten years ago I found a great deal of relief through Chiropractic care. I have been treated by four different doctors and I am very enthusiastic about Dr. Marron. I am difficult to adjust and Dr. Marron’s gentle technique is beyond compare. His treatment is always extremely thorough. His office staff is also very friendly and helpful. The whole experience there puts patients at ease. I have and will recommend Dr. Marron to anyone who could benefit from Chiropractic care. I initially visited Marron Wellness Center because of a ‘pinched nerve’ in my neck, which was affecting my right shoulder and right arm. I had suffered through 2-3 months of sleepless nights while attempting (unsuccessfully) to treat my problems with home remedies. This had been my first experience with a Chiropractor and I didn’t know what to expect. I was very pleasantly surprised. Dr. Dave Marron quickly assessed my condition and provided an explanation that was understandable and concise. 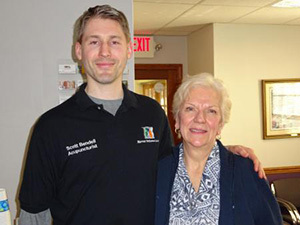 Dr. Dave prescribed a plan of care, which included chiropractic treatments and physical therapy. The results were very satisfying! Within three visits I was sleeping through the night. Dr. Diane Milhan, the Physical Therapist, developed an exercise program that stretched and strengthened the muscles in my neck and shoulders, which had grown lax over the years. With each visit, I could feel the tension in these areas easing. That is not to say there wasn’t pain, but in the end, it was well worth it. It has now been 8 weeks and the doctors agree that I am ready to resume life 98% relieve of the pain and discomfort, with which I originally visited Marron Wellness Center. More importantly, Dr. Dave and Dr. Diane have re-taught me how important good posture is to a healthy, pain-free life and how to maintain it. Thanks again for all that you have done! The staff at Marron Wellness Center are friendly, knowledgeable, and professional! Dr. Marron is an excellent chiropractor. I always leave feeling so much better than when I go in! When I first called your office looking for an appointment, I had no thoughts of actually being seen the same day I called. (Truthfully, when does that ever happen?) I was in a lot of pain then and very nervous about my present state. I felt great relief after meeting with your staff and discussing my issues, to actually have a game plan going forward to restore my well-being. I know that patient pain is your business, but it is in the manner in which your office handles this business for which I am truly grateful. I know that I have been a lot of extra work for everyone involved in my care, although no one in your office will admit it, and I have never ever been made to feel that way. I referred my friend to you because she is in pain, needs help, and I feel that your office provides superior care coupled with a certain human kindness that is not always present in other healthcare facilities. I am happy to send my friends and family your way when they are in need, as I believe your system of cooperative pain management care is superior to that of anything I have ever experienced before. So please know, no thanks needed for any new Coakley patient referrals, I am just truly happy to have a trusted facility to send those I care about to, just don’t blow my cover – I lead everyone to believe that I am a low maintenance, cooperative patient. That’s my story and I’m sticking with it! I have finally found relief and help for my pain in my back, shoulders, and neck. Everyone at Marron Wellness Center makes me feel comfortable and their positive attitude adds to the “get well” atmosphere. While I have to drive 40 minutes to get treatments, I know I will benefit greatly. I felt the need to drop the office a quick note. I left your office today, after my latest bone munching crunching session, looking very much like the old lady who lived in the shoe…but…about an hour or so later – I was up and running and I literally mean running. I’m not sure why but I have felt much better than I have in a very long time all day today. I have been up and down, in and out of the car, I sat down for a long time at lunch, accompanied my daughters and friends to miniature gold and actually did my exercises tonight on the floor – AND I GOT UP OFF THE FLOOR ALL BY MYSELF WITH VERY LITTLE EFFORT!!! That has not happened in a very long time! I am not sure how long this will last, but I am so thankful for today and keeping my fingers crossed for tomorrow. I can’t adequately express how very grateful I am to everyone at Marron Wellness Center for their patience and being so incredibly nice during this very humbling period in my life. THANK YOU, THANK YOU, THANK YOU…for everything! You’re a great team of caring professionals! Words just don’t seem adequate enough to express how much Marron Wellness Center has helped me with this neck injury. I am just sorry that I wasted so much time at another practice where I really saw no improvement. Everyone is so gracious and accommodating at Marron Wellness Center that I really felt like a family member. Dr. David Marron’s adjustments really helped me, little by little I began to feel better and slowly but surely the pain eased up. Dr. Diane Milhan gently pushed me beyond what I was used to doing. I continue to discipline myself with the different exercises that she taught me. I enjoyed all of the Acupuncture and our talks. Again, words seem inadequate to express my gratitude. Be assured that Marron Wellness Center will be recommended to others. I was very happy with all of you. My fiancé and I both had a terrific experience at Marron Wellness Center. The chiropractic information was very helpful and informative. Mike was my massage therapist. He was amazing! I felt at ease with his well-structured style of a whole body massage. He was very professional and thorough. So much so that by the end of the session, I told him what I would I would tell anyone considering getting a massage by him, “You’re gifted!” Great experience! What a wonderful surprise to have been given a massage for my birthday. Thank you sincerely. It was my first massage ever and my therapist was marvelous. She not only let her fingers do the walking, but the talking as well. I was unaware that I had tension until she eased my muscles to respond. I fully recommend this tension relieving program. When I first visited Marron Wellness Center I had lower back stiffness coupled with pain my right buttock through to my right thigh. 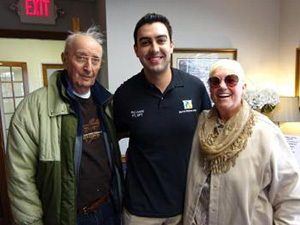 Dr. Marron developed a program consisting of chiropractic adjustments and physical therapy three times a week. The program, which has taken about two months, has relieved both of my symptoms. The physical therapy has been particularly helpful. The therapist, Dr. Diane Milhan, tailored a program specifically for me which has strengthened my core and significantly improved my range of motion. I highly recommend Marron Wellness Center. I have had lower back pain for more than 20 years. In the past 2 years it has gotten progressively worse to the point where I had pain 24/7. I have been coming to see Dr. David Marron for a year or so and he would do his “magic” and I would feel better for several weeks. During this time he would mention that I should consider physical therapy. I never gave it much thought, then one day I said I would do anything to break this routine. I started Physical Therapy in conjunction with chiropractic. After a month and a half I can say that the pain in my back is gone. I never thought that the manipulation of the small muscles in ones back could make such a difference. The pain is gone! Thank you Marron Wellness Center! Dr. David Marron makes my kids and I feel like a million dollars!! Having been in physical therapy on 3 previous occasions (twice for my lumbar spine) I have found Amanda Alfano the best therapist I have ever been treated by. She zeroes in on the exact area of pain and did not give up until she found a way to relieve my pain, which she did. I have improved so much since I have been in treatment with Amanda. She is the only therapist who actually worked with me on a one-on-one basis. I have had epidurals 2 times, trigger point release therapy, acupuncture twice, and more (everything except surgery!). I now feel like myself. I can do almost everything I used to do. I am so thankful to Amanda and would recommend her to anyone who needs physical therapy. I also found the entire staff here friendly, helpful, and accommodating. Dr. Marron has helped me more than any prior Chiropractor (been to 3 others). In my 54 years I have utilized the services of quite a few chiropractors (15-20 estimated). Of these chiropractors I would say 3 stood out as exemplary. Of these, one truly stands out as providing the highest level of service, skill set, and most important, the rare ability to implement these skills producing maximum results. Dr. Marron absolutely deserves my highest recommendation as the finest chiropractor I have yet experienced in 30+ years utilizing chiropractic care. Dr. Marron is capable of spinal manipulations that many others are not capable of. His approach is gentle, precise, and highly accurate. His unrushed approach reflects great attention to my specific needs, a key element separating the very best from lesser practitioners. I strongly recommend Dr. Marron and his staff to anyone needing his services. It is my opinion you will receive the highest quality chiropractic care available. As an aside, I especially recommend Dr. Marron to anyone seeking chiropractic care for the very first time. I have been going to Dr. Marron for several years since his days in Eatontown. This past Christmas I was in a lot of pain. We had been hit by a blizzard the week before Christmas and I had shoveled and snow blown for 3 days straight – cleaning out my driveway and mailbox area plus two of my neighbors. On the 3rd day I was tired and attempted to drag my snow blower backwards about a city block. My back went into spasm. I couldn’t sit, I couldn’t stand, and it hurt to even breathe. After a night of this incredible pain I went to see my favorite doctor – Dr. Marron. I was in so much pain I couldn’t lie down on the heated rolling table. I couldn’t even bend down to put on my socks and shoes. Yet, after just a few sessions over a couple of weeks I was cured! Great healing Dr. Marron!! My family and I have been patients of Dr. Marron’s for some 25 years. When I first came into his office, it was under duress – nearly kicking and screaming. Today and many yesterdays I walk without pain thanks to the skills and knowledge of Dr. Marron. Specifically, I have suffered from a pinched nerve, back stresses, shoulder and hip problems, all of which Dr. Marron treated successfully. Aside from his well-hones and practiced professional skills, Dr. Marron presents a warm and caring personality, giving a patient confidence. I started coming to Dr. Marron in 1987. I had just bought a house and raking leaves for the first time, I had done something to my back. I waited three weeks, hoping it would get better, but it only continued to get worse. My mom said “go see a Chiropractor.” Dr. Marron was then on my insurance and his location was close, so I went. My first visit he only took x-rays and I remember being so annoyed because I expected immediate relief. That started the next morning, with my first adjustment for sciatica (on both sides!). The pain was literally cut in half after only one visit. I couldn’t believe it. Now, 2010 (23 years later), Dr. Marron is the only doctor I am still with since those days. If I hurt myself, I get to him as fast as I can. I am STILL thankful that I found him all those years ago. It has been a year and a half since I started seeing Dr. Marron, whose treatments have made a world of a difference for me. The first visit Dr. Marron diagnosed my chronic lower back pain resulting from scoliosis. The pain had finally gotten to the point that I could not walk or play with my 3 young children. Since that time, I have continued an active lifestyle and have enjoyed spending quality time with my kids. In addition to the skills of Dr. Marron, the office staff has been nothing but friendly and professional. 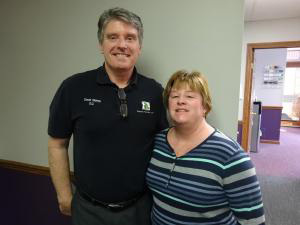 For over 20 years Dr. Marron has been our family chiropractor. His skill in relieving joint and back pain has made our lives so much more productive and comfortable. As the owner and principal instructor of a dance school for over 15 years, my wife needed constant care to help prevent debilitating performance injuries from affecting her teaching. Dr. Marron was always able to bring her up to critical performance standards. Now, as retired senior, we feel fortunate to have his skills to maintain our active lifestyle. Dr. Marron’s competence is key to our family’s continued well-being. I have been a patient of Dr. Marron’s for over a decade. Whether it’s a springtime golf strain or a wintertime snow shoveling stress, he always has an appropriate remedy. He is truly a doctor for all seasons! One office visit turned my life around! I had been dealing with vertigo for over 4 weeks. Your life stops because your head is spinning out of control. I tried everything I could. Finally I tried a medical doctor. They couldn’t tell me what was causing the vertigo and the drugs they put me on didn’t stop the spinning. My son sent me an article on a neurological maneuver that has been known to cure symptoms of vertigo. I called Marron Wellness Center. Dr. Marron had been trained in this procedure. He tested me to see if this procedure was appropriate for what was causing the vertigo, it was. One treatment and the dizziness was gone!!! I followed a few restrictions for three days and was retested. Everything remains balanced. Thank God for Dr. Marron! Not only is he a great chiropractor, but he continues to take advanced courses, so he can offer the very best care to everyone in his practice. Thank you Dr. Marron for always being on the cutting edge and giving me my life back. I was recommended by my Homeopathic doctor who said he wouldn't go anywhere else and I agree 100%! Dr. Marron in a word is Awesome! His staff is knowledgeable and friendly and with the additional help from their physical therapist Raj, my back and shoulder are feeling better than it has in over 20 years. I recommend them to everyone every chance I get. Even my 4 kids say that Dr. Marron is the best! Dr. Marron and the entire team at Marron Wellness Center have been an amazing influence on my strength, flexibility, and overall wellbeing. 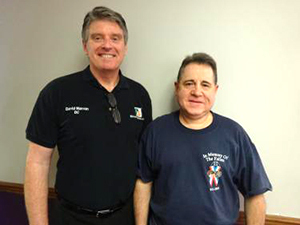 I have seen Dr. Marron weekly, and he has treated my back pain with chiropractic expertise. Dr. Raj Joshi has helped me to build and tone muscle and flexibility through physical therapy following surgery. The staff is always welcoming, and the office is always relaxing and a positive place to be. I've recommended Marron Wellness to several friends and family members, all of whom have had great results as well. Thanks, Marron Wellness Center! I have been to Chiropractors my entire life and when I moved to Middletown I tried a few different ones till I found Dr. Marron 16 years ago. The office staff is top notch, the equipment has changed over the years and Dr. Marron always keeps up with the ever-changing field of Chiropractic care. The wellness center is by far the best thing you could have ever done. The massages are like no other I have ever had. The acupuncturist is so calming you can literally fall asleep during treatment. Every treatment is tailored to your personal needs at the time and I always come out of there feeling so much better than when I walked in. Thank you, D.r Marron, for all that you do for your patients every day you are truly a blessing. To Jenna, Jade, Kevin, Matt, and the entire staff keep up the great work it is a joy to see your happy smiling faces. These guys are awesome. Staff is very friendly attentive. Dr. Marron completely rehabilitated my lower back when I came in, and answered all the questions I had about my injury. Make sure you get a bottle of Biofreeze on the way out!